Kissmetrics is better solution for customer analytics. This is easy to integrate and easy to customize. And no more need for expensive and laborious custom implementations. Know your CLV (customer lifetime value) by automatically tracking a visitor&apos;s behavior from arrival through to purchase and even order cancellations/refunds! 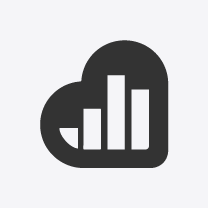 This integration allows you to customize the Kissmetrics scripts. It also allows you to blacklist certain URLs that you would like excluded from Kissmetrics tracking! This helps mitigate how many events you trigger and gives you more control over your data! Turn more website visitors into loyal customers. Understanding customers is complicated. Kissmetrics makes it easy for e-commerce. 1. Learn where your best customers come from. Finding new customers with high margins is far from easy, and turning them into repeat customers is even harder. Here’s a look at revenue metrics in Kissmetrics, broken down by the first traffic source: Take a look at this Funnel Report. Only 33% of people who added items to their cart completed the checkout process.From here, you can make hypotheses on what’s keeping the other 67% from checking out. 2. Find out who your best customers are. Kissmetrics will show you a profile of every visitor that makes it to your site. Each individual profile might not give you significant findings at scale. But combine this data with all of your visits, and you can target the right people. 3. Convert more customers on your website. Remove bottlenecks and reduce cart abandonment. 67% of website visitors will add an item into their cart and leave without completing their purchase. More traffic to your website doesn’t necessarily mean more conversions. Let’s say your newsletter subscribers are more likely to purchase from you repeatedly. To grow your newsletter list, you can show a notification on one of your product pages that offers them a 10% discount if they subscribe to your newsletter.